In these times of looking to the past for solutions to our problems in a complex future, it reminds me yet again that the folly of resorting to failed formulas is as old as history itself. In its timorousness, humanity is so often prone to clinging to its old ways, to the status quo—no matter how outmoded or decrepit—rather than embrace a more dynamic and innovative approach to all the art forms of life. The fear factor, from anxiety about sabretooth tigers to mass immigration, entices us to stick to what we know, to the seemingly safe confines of our community, clan and culture. It takes great courage to be an avant-garde artist or thinker, and many who try to lead the way into new perspectives are often criticized or disdained before their art or ideas ever come to fruition. History is largely the sad story of progressive thinkers who faced so much resistance in their lifetimes that their very lives came to a sad or untimely ending. Think Socrates, Jesus, Giordano Bruno and just about anyone who has tried to forge a new path for the future. I recently took a week of vacation to get a fresh perspective on my own work and spent a few days in Amsterdam, taking in the museums. There I was keenly reacquainted with the fates of two of my favorite painters. Rembrandt, although he enjoyed considerable recognition in his own lifetime, ended up in bankruptcy and was buried as a poor man in an unknown grave. Van Gogh, in spite of his bright paintings of light and life, ended up going mad and spent his last years in an asylum before shooting himself. Their tragic stories are representative of the plight of the perennial tormented artist who, in one form or another, is deeply misunderstood. The fate of such artists and so many other great thinkers makes us take pause as to why our best ideas take so long in gaining acceptance. One of the reasons may be that great new concepts and works of art do not leap fully formed out of the inventors’ mind. New visions are hard to come by and usually require much anguished conjecture before they mature enough to be understood by the general public. Take the notion of democracy, for example. It served ancient Athens well for a while, even if Socrates gave people such a strong dose of it philosophically that his open-mindedness turned into his own demise. The highly heralded rise of American democracy has certainly seen its troubles in gaining public acceptance. Often touted as an exportable promise for all of civilization’s troubles, it has had its difficulties in being understood and implemented elsewhere. Maybe that is because democracy is also like a great work of art in its incipient stage. The idea is a good one, but the art form has never been fully developed. What passed for democracy for the first 150 years of its American life was largely an exclusive right for white men. Even in its latter day expression, it could be said that we have nothing other than the best democracy money can buy. The current system of super-PACS, gerrymandered districts and unequal voter registration is a far cry from the high art that democracy could be. Perhaps that is one reason why it is suddenly so devalued right now—it never got to show its inner beauty to begin with. Why, I wonder, if we look at the Electoral College or the composition of the Senate, is a vote in Wyoming worth perhaps four times more than mine? Nothing against Wyoming, but why should my voice be devalued just because I live in a highly populated urban center? And it’s no mystery why congressional representatives have so little time for legislating when they have to be on the phone most of the day soliciting funds just so they can stay in the crazy poker game of financing their campaigns which, unfortunately for everyone, seem to be a never-ending process. To some degree, the “leadership” we have today is the result of this bargain basement version of democracy. As I sit on a bench near the house where Anne Frank lived in hiding before perishing at the hands of the Nazis, I wonder how it could be that there are “fine people” among neo-Nazis and white supremacists. I wonder how some of the nation’s most highly principled journalists could be categorized as a bunch of sick liars. I wonder how we permit environmental degradation for the benefit of corporate shareholders who are expert in tax evasion. Is the art of democracy so radical that it never got to be appreciated for what it is before it was discarded, like an old and forgotten canvas collecting cobwebs in somebody’s attic? Any astute investor, if given the chance to go back in time and purchase a Rembrandt or a Van Gogh at the price of the painting in its day, would obviously be eager to do so. In a similar vein, we would be wise to invest a good portion of our current wealth in a portrait of democracy today, incomplete as it may be. 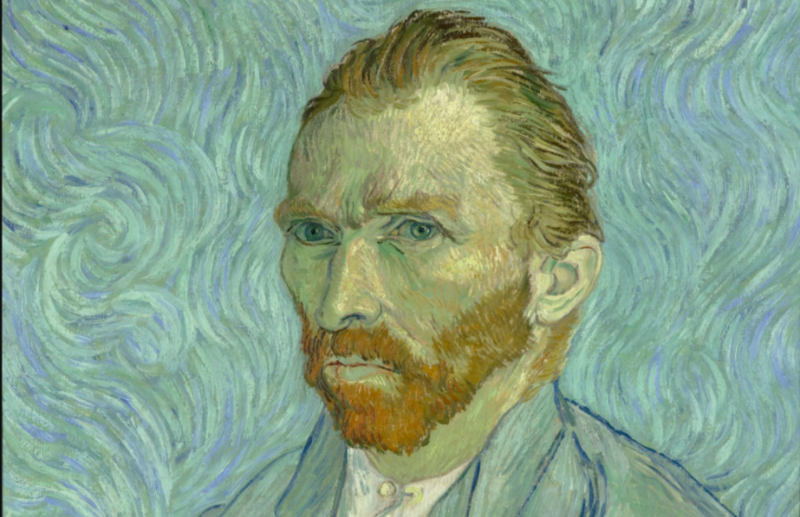 In the last year of his all too brief life, Van Gogh took to copying works of the great masters. There is a Van Gogh rendition of Rembrandt’s interpretation of “The Raising of Lazarus.” The theme isn’t one that I would want displayed on my living room wall, but perhaps it should be hung on the virtual wall of human history just to remind us that we might want to invest in the truth, beauty and goodness behind democratic art before it dies a tormented life of its own and we are then faced with the challenge of raising it from the dead in the not-so-distant future. Thanks, Emanuel, for a thoughtful and thought provoking article on democracy. It brought to mind a couple things for me. First, we lack a clear and compelling vision of what a real democracy, or even just the next stage, could look like. All our news is primarily focused on two things 1) criticism, fault finding, finger pointing, and 2) all the terrible things that are happening in the world. There is no source of true inspiration and vision widely and consistently available. And as we know, “Where there is no vision, the people perish.” Which leads to my second thought, since the average person is in a mostly fear-based survival mode (due in large part to the lack of vision and perpetual in-fighting), everyone is “out for themselves” trying to make the system favor their needs / allay their fears. There is no “we” in the approach – it is primarily an us vs. them. So I ask, where can we find a clear and compelling vision that is widely and consistently available that enough citizens can be authentically inspired to make it a reality? And, how can we move from the focus on fear and finger pointing, into a collective “we” perspective that considers the larger parameters and impacts of decision making? If we can get a clear and compelling vision based in positive possibilities it may help us move away from the fear-based survival mode, toward more collaboration for the good of all. Such a clear and balanced reflection of our times. Thank you.